As fascinating as it may sound to some, living with a newborn can easily become overwhelming because these small creatures require all of your time, energy, and resources. So, if you’re thinking about making the mother’s life better, instead of buying the latest organic cotton baby costume, maybe you could offer to babysit the infant for a couple of hours. Sure, material possessions are great too since most of the newborn products are quite expensive. Here are some cool and affordable baby stuff for dads or mothers you could consider purchasing for baby showers, birthday parties or baptism parties. This paperback creation is perfect for babies and parents alike. It’s one of the most popular books and, ever since its first publication back in 1986, it was sold in more than 15 million copies worldwide. It is a great story of love in good and bad times, a story about the unconditional affection children receive from their parents. Most customers who purchased the book claimed it’s the ideal story to read to children but adults could benefit from it too. The author kindly describes each stage of a child’s life along with all the transformations and changes that occur both for him and for his parents. It is never too early to start teaching your child how to deal with life, so why not begin with the basics? The newest researches in the field have shown that reading to your child from an early age, ever since inside the womb, will increase his or her neuronal activity and will help develop the child’s intellect. This book from Roger Priddy is perfect for teaching your kid the first and most important 100 words. Each of the book’s pages is covered in vivid pictures and beautiful colors to attract your baby’s attention and help him or her focus better. The book tells the touching story of Gerald, a giraffe that will go the extra mile to prove everyone else that he can learn how to dance. Ever since he was a baby, Gerald didn’t want anything else but to dance. But how can giraffes dance with those thin legs and crooked knees? Join this goofy animal in his quest of becoming the greatest stage performer and read all about his adventures, the lessons he learns along the way, and the friends who will encourage him not to give up on his dream. The book “Brown Bear, Brown Bear, What Do You See?” is available in a hardcover, a board book or an electronic version for Kindles. It is written by Bill Martin Jr., the beloved author of over 300 books specifically created for children. Allow your child to expand his or her vocabulary and learn new things about animals and surrounding places. This book is a classic for kids of all ages and is full of vivid illustrations and bold colors to attract the attention of the little ones. It contains easy-to-remember rhymes and repetitions that will help children develop their speaking skills and learn new words. Another classic for children, this book was sold in more than 12 million copies in its original, full-sized edition. It was also translated into more than 20 languages, so you will easily come across it in bookshops all around the world. This tale of science and friendship is perfect for children of all ages and is full of life lessons to be learned. The book also teaches little children how to count and the days of the week, all depicted in bright colors and beautiful illustrations. Read between the lines to learn what happens if you eat too much. With over 18 million copies sold all over the world, this book by Sam McBratney has definitely become a classic. Go through the pages to find out that measuring love is not an easy thing, especially in the animal world. Little Nutbrown Hare and Big Nutbrown Hare will soon find out that their love stretches longer than their bunny years. This touching story of love between parents and their children contains soothing and eye-calming illustrations that will help your child feel comfortable and safe. Sandra Magsamen is one of the most popular authors for children books in the entire world. She sold more than 100 million products through her company, Table Tiles, Inc., and over 3 million books while also being featured in many magazines and TV shows. “Welcome Little One” represents the perfect gift for baby showers and birthday parties, being suitable both for little boys and girls. The book is full of cute rhymes and beautiful illustrations, and even comes with a personalized information section in which you can fill in your baby’s name, age, birthday, height, weight, and so on. From an early age, parents should try to read their babies stories because they enable their long term mental development and creativity. It’s a known fact that babies observe and learn everything that surrounds them and have a mind eager to make connections and to absorb information. Reading books for your little ones help them engage in the narrative flow and learn how to distinguish behavioral patterns. Fables that teaches them the difference between good and bad, selfish and generous or patient and anxious, are a great way to educate the babies even if they have no more than a few months. You should purchase cool baby books that have a stylish and colorful design made of beautiful illustrations that babies can follow. If you don’t know what books are better for your loved one, let a team of experts give you some useful tips and tricks that can help you improve your nights a lot better. Based on indicators such as age, design, and type of the book, they’ve managed to create an interesting buying guide that aims to show you how easy it is to read your baby compelling book stories. Parents have a difficult task that involves teaching their babies the main principles of kindness and generosity. There are many baby books for sale that you can choose from if you need catchy illustrations and beautiful storylines that are easy to understand even by babies. You can purchase lovely books if you decide to use these features mentioned below. Before attempting to make any purchase you must consider your baby’s age. Generally, books are sold with an age description that makes it easier for parents to know what type of books are suitable for the little ones. For instance, babies that haven’t reached the age of 1 like books that come with delightfully bright colors, flaps and all sorts of touchy feely patches that let them explore freely the inside of the book. In your search for the coolest baby books, you can purchase them according to the baby’s gender. While boys like anything that features tractors, sailboats, dinosaurs and rocket ships, baby girls are more likely to enjoy a book that covers subjects such as birds, flowers, rainbows, butterflies, and bunnies. 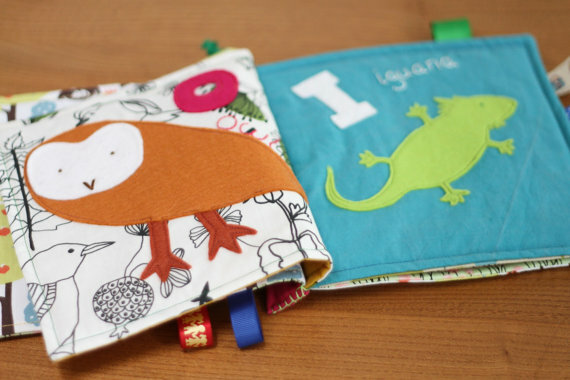 You should know that cloth books are the perfect choice for babies up until the age of 1. A lot more durable than paper, these books can actually be cleaned with a damp cloth. Another good option for tiny babies are the lift-the-flap books that bring tons of joy and excitement. Try to pick stories that contain a rhythmic repetition in the text which resembles a lot to singing. 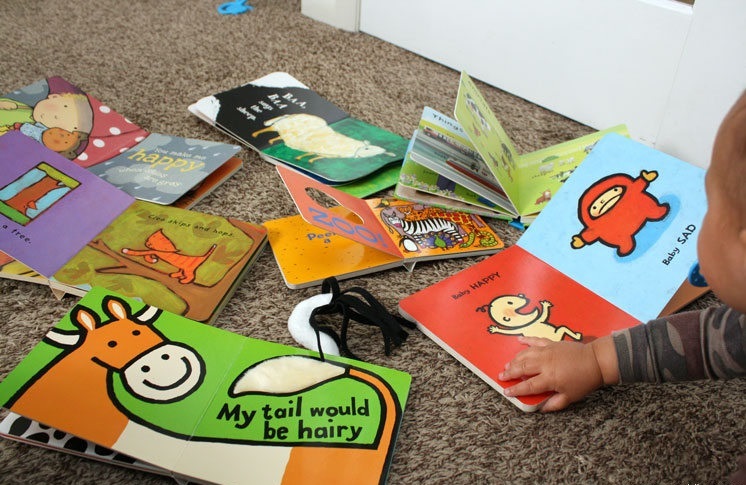 Books that have tickling or kissing inside help you entertain your baby because you can do the same things and get them involved in the process. As babies get older, you can get them books that aren’t so oversized so that they can hold them. Moreover, the illustrations contain more details and the content is more engaging. Search for books that make you imitate noises made by animals or different objects. Sooner or later, babies will start to copy your behavior and you’ll have plenty of fun spending interesting and fun evenings together. According to the best baby books reviews, there are several types of books that you can purchase. Depending on your purpose, you can get baby board books that are practical and more durable. The reason so many parents choose to get these type of books is that the content is easier to show to the baby. Plus, the themes are so awesome that you can’t stop and buy just one for your baby. An interesting board books option is that which shows your child stylish illustrations of cities from all over the world or captivating information about arts and museums. There are even books that introduce the alphabet to babies with the help of modern and colorful drawings. The options vary a lot and you can find plenty of cool titles sold online or in specialized book stores. Parents who want to make sure that all the special moments of their baby’s life are safely kept over the years can purchase baby memory books. An interesting way of documenting everything major that has happened in the early years, these books are an accurate proof of every milestone that should not be forgotten. Children will cherish this idea once they grow older and parents will have another good reason to remember the times when they were only a baby. These journals are a great option for baby shower gifts and they can be easily placed in the nursery room, next to the baby beds. Just like baby T-shirts, books for babies must be purchased according to the age and style of the baby. While some babies like to simply sit and watch the illustrations, others want to grab the book with their small hands and try to follow the storyline from the pictures they see. There are books made from all sorts of materials and each of them has a certain level of difficulty for the babies. It is advisable to get books that have letters and small texts inside because you help them absorb faster the information. Plus, you prepare them for the moment they’ll start learning the alphabet and the numbers. The relationship between mothers and their babies is indeed special. Therefore, they need special mom and baby memory books that allows them to keep track of everything that happens in their life once they give birth to the baby. Check for journals that let you have a genuine memory-keeper filled with funny checklists, questions prompts and many other questions that you can answer when the baby is still tiny. Another interesting book is one that lets you write down a thought every day for a period of five years. This journal will be a blast to read when the child gets older.